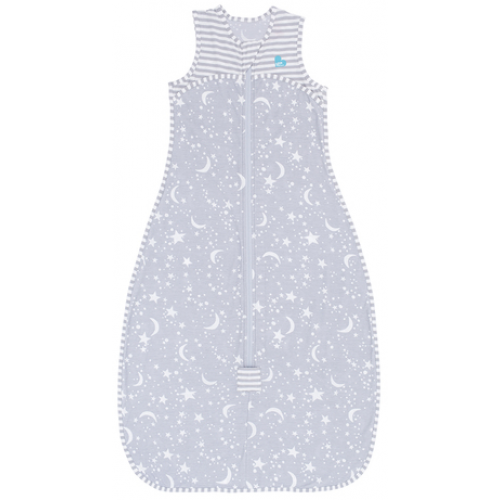 The LOVE TO DREAM SLEEP BAG™ 0.2 TOG, is a sleeveless sleep bag for ultimate ventilation in warm temperatures & has extra room for kids who love a roomy blanket. It’s made from made from an ultra-light Nuzzlin™ fabric; a new generation muslin fabric which is super soft & highly breathable, reducing the risk of overheating. The LOVE TO DREAM SLEEP BAG™ is the safer alternative to loose blankets & sheets, which can cover your child’s face or fall off in the night & leave your child cold. Smart zipper for easy nappy/diaper changes.